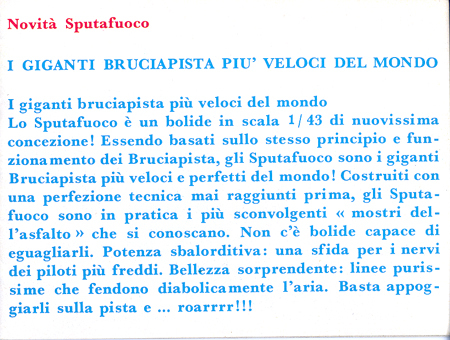 This page shows the 1971 Italian Sputafuoco Catalog. 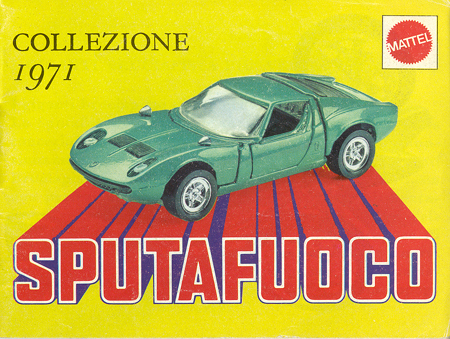 Sputafuoco was the name for the Hot Wheels Gran Toros in Italy. 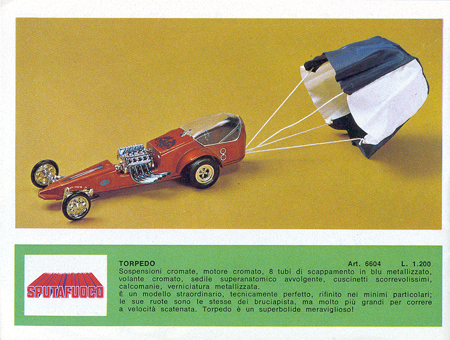 The catalog shows the Gran Toros line going into 1971. 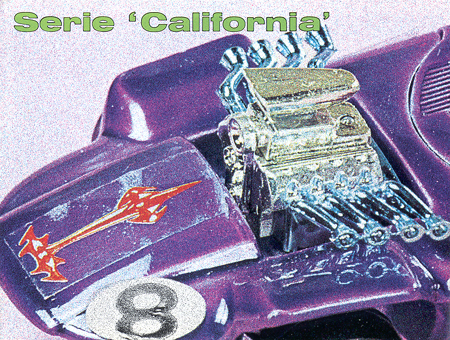 Some of the pictures are artist renderings and some are of 1/64 scale Hot Wheels Redlines. 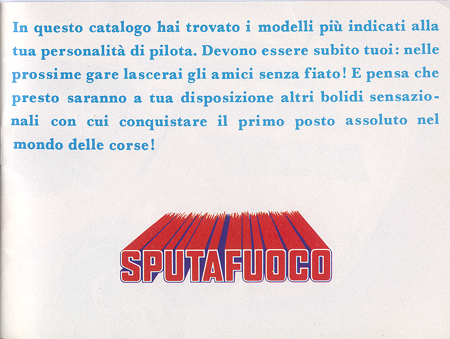 This catalog, in conjunction with the 1971 Mebetoys catalog, shows the difference between the Hot Wheels Gran Toros (Sputafuoco series) and the Mebetoys series. 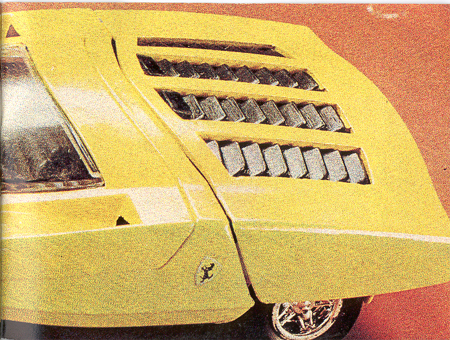 A closeup of the Ferrari Can Am. 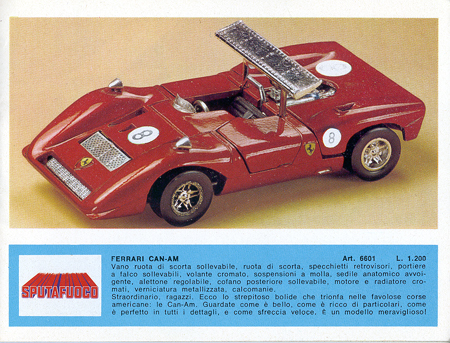 The Ferrari Can Am, Model # 6601. 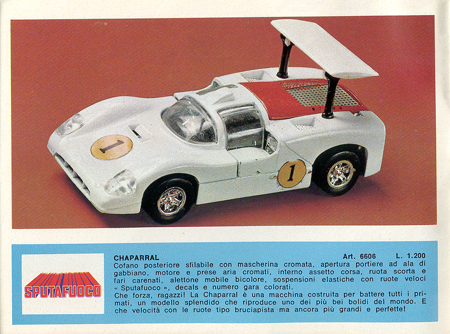 The Chaparral, Model # 6606. 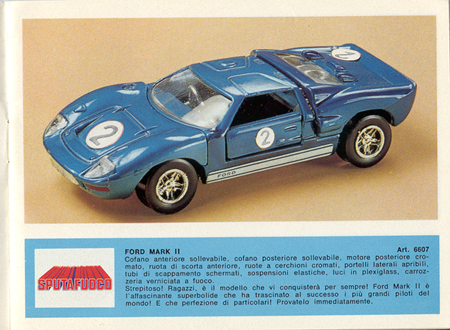 The Ford Mk II, Model # 6607. 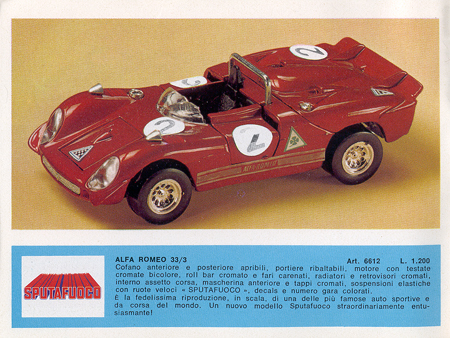 The Alfa Romeo 33/3, Model # 6612. 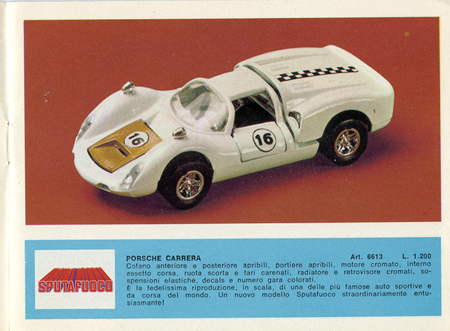 The Porsche Carrera 10, Model # 6613. 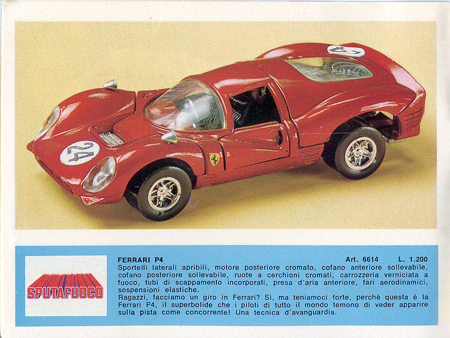 The Ferrari P4, Model # 6614. 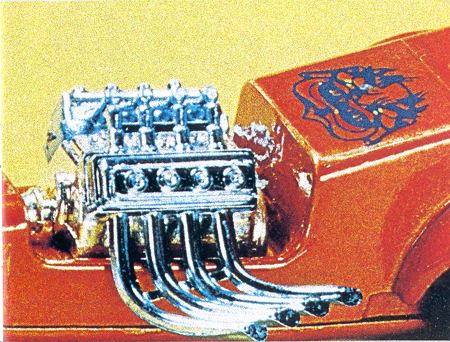 A closeup of the Torpedo Dragster. 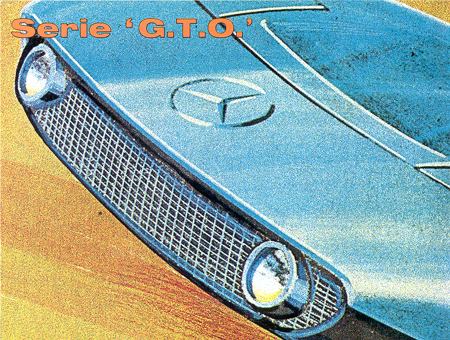 A drawing of a Mercedes C111 front. 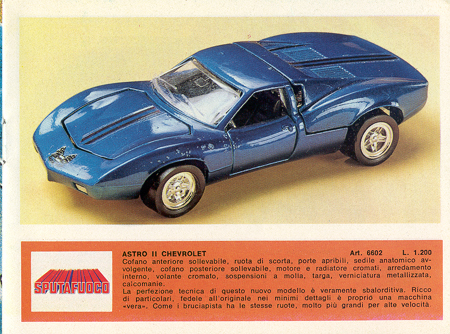 The Astro II, Model # 6602. 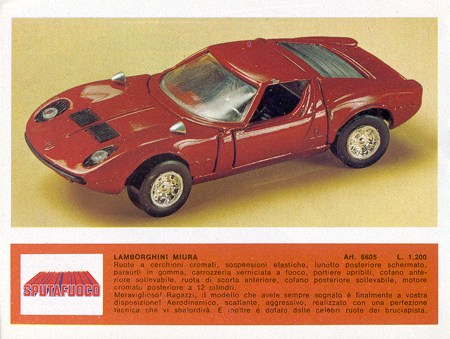 The Lamborghini Miura, Model # 6605. 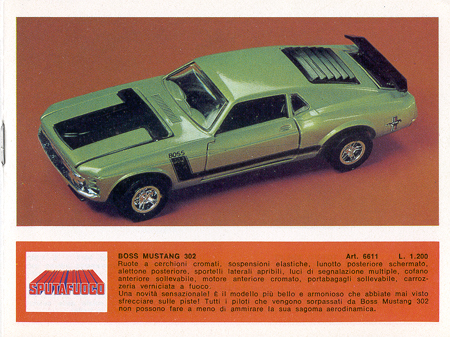 The Boss Mustang 302, Model # 6611. 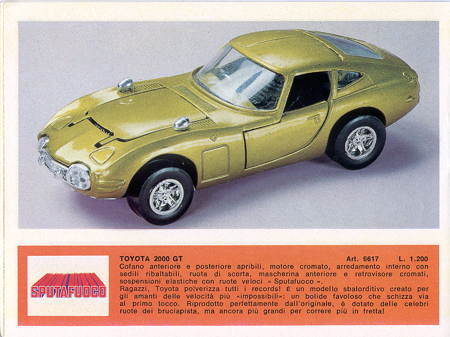 The Toyota 2000GT, Model # 6617. 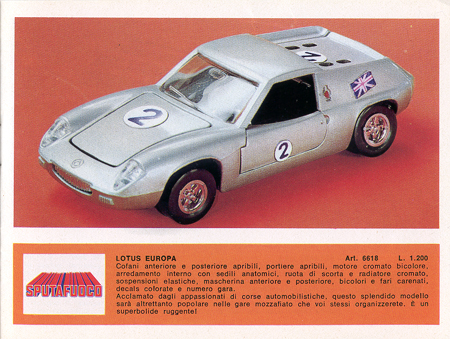 The Lotus Europa, Model # 6618. 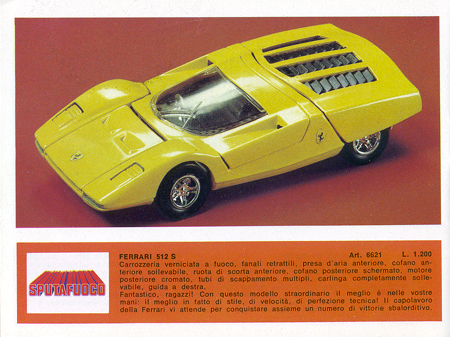 The Ferrari 512s, Model # 6621. 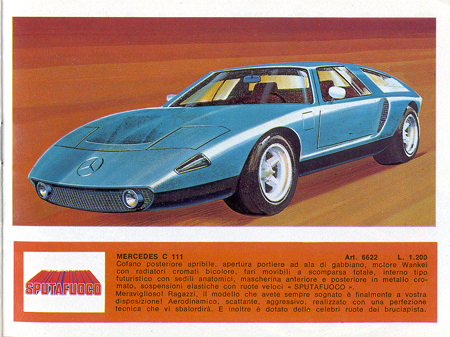 The MercedesC 111, Model # 6622 (artist rendering). A closeup of the Silhouette. 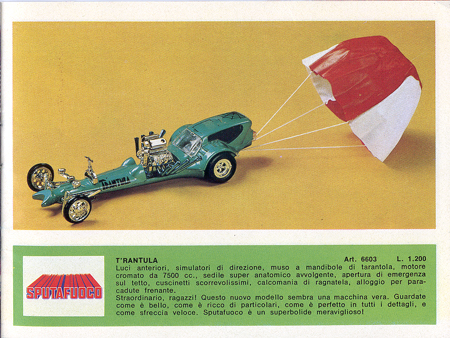 The T'rantula, Model # 6603. 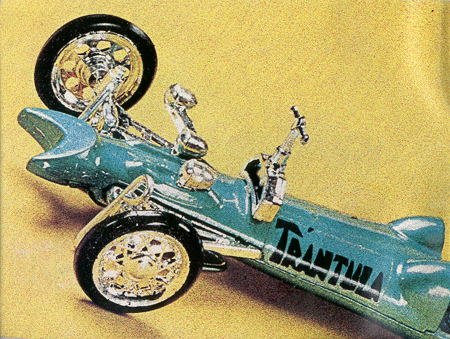 The Torpedo Dragster, Model # 6604. 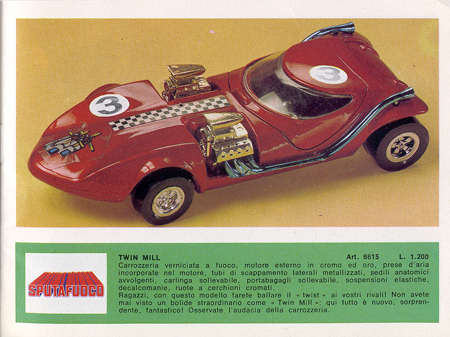 The Twin Mill, Model # 6615. 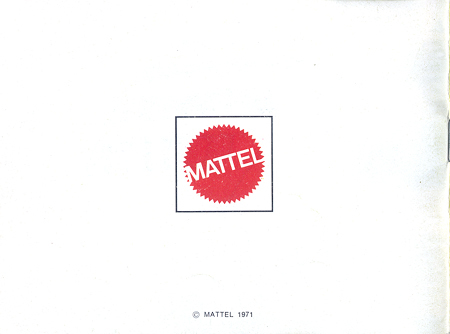 The Silhouette, Model # 6616. 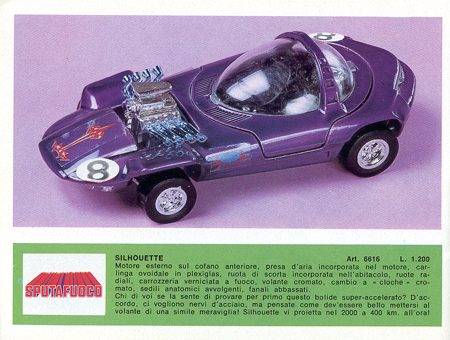 The Mantis, Model # 6625 (a photo of a redline Hot Wheel, not the Gran Toros model - see the Mantis on the 1970 Redlines page). 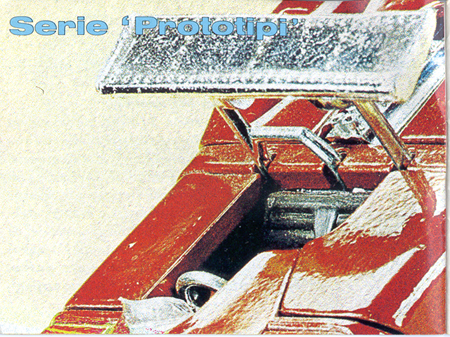 A photo of the Ferrari 512s. 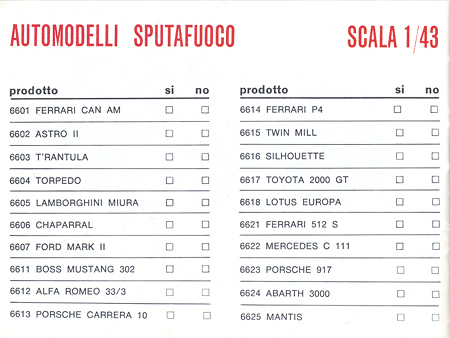 Missing from the list (5 models). 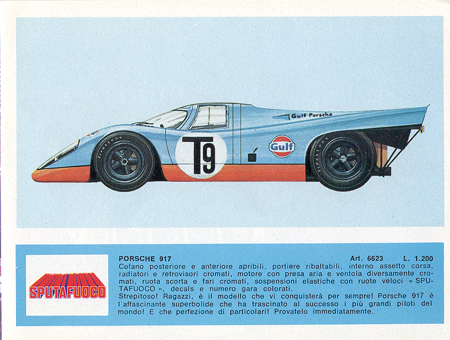 The Porsche 917 image is an artist's rendering. 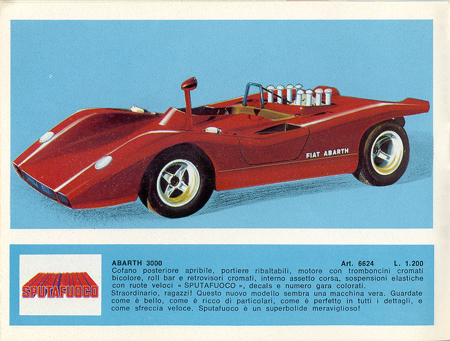 The Abarth 3000SP image is an artist's rendering. 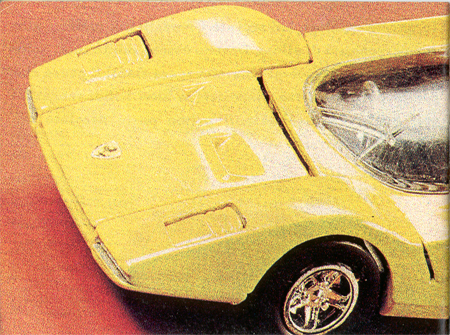 The Mercedes C 111 image is an artist's rendering. 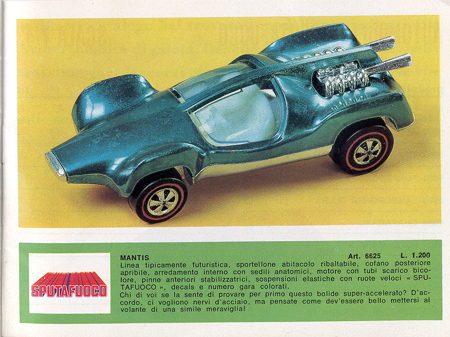 The Mantis image is a photograph of Hot Wheels Mantis (Redline - see the Mantis on the 1970 Redlines page).